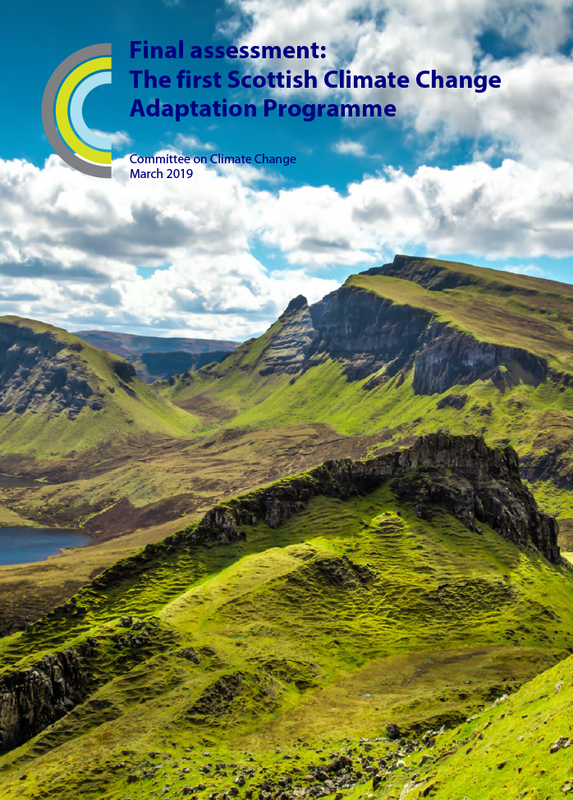 This report, by the CCC’s Adaptation Committee, is the second independent assessment of the Scottish Climate Change Adaptation Programme (SCCAP), required under the Climate Change (Scotland) Act 2009. The assessment focuses on what has changed since the Committee’s first assessment in 2016, in implementing policies and actions set out in the SCCAP and in managing Scotland’s vulnerability to climate risks. The most notable progress since the first assessment includes peatland restoration, increasing marine resilience and an improved understanding of flood risk in Scotland. The areas of greatest continued concern include increases in pests and diseases in Scottish forests, declines in seabird populations and soil health. Key data and evidence gaps remain that make it difficult to assess progress for a number of adaptation priorities, including the extent of housing and other infrastructure development in flood risk areas and health impacts from climate change. The Committee expects its findings to be considered in the next iteration of the Scottish Government’s SCCAP, which is due to be published later in 2019.